Compound Vs. Isolated Exercises: Making An Effective Training Program. 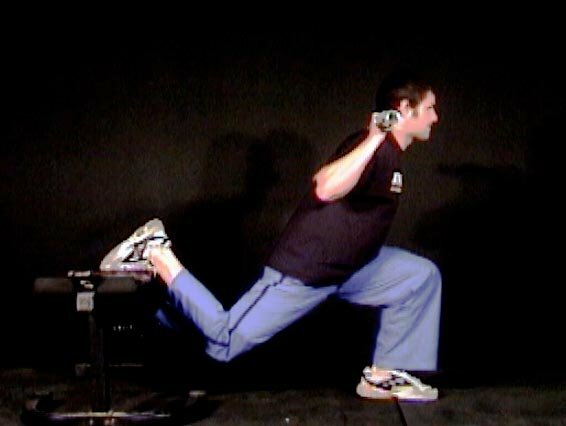 Isolated exercises are great for minor tweaking, however for those looking to make significant changes they are not ideal. Here are five reasons why isolation exercises may not be your best option. Exercise selection can virtually make or break a workout program. If you aren&apos;t choosing the correct exercises, you are going to have a hard time reaching your goals and seeing progress. Often, beginners think that the more exercises they can do, the better. After all, hitting a muscle from every angle imaginable must mean you are training it in the best possible manner right? Wrong. Isolated exercises simply won&apos;t give you the biggest bang for your buck because they just don&apos;t target that many muscle fibers. Take a bench press verses a tricep kickback. The bench press is going to work your pec muscles, your triceps, and your deltoids, with your biceps acting as a dynamic stabilizer. 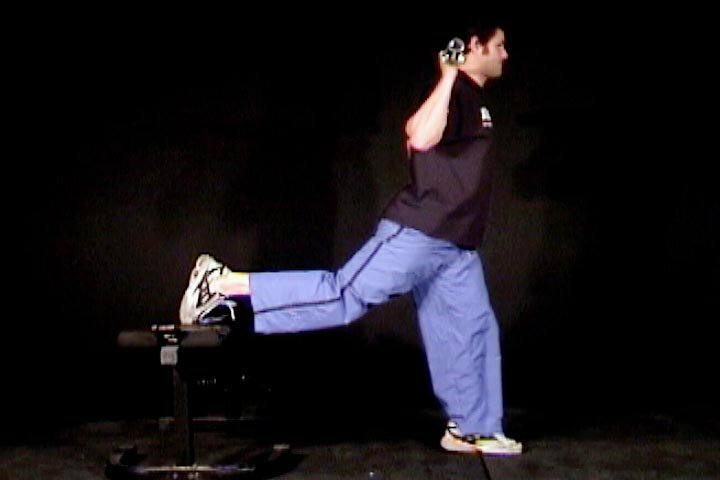 The kickback will pretty much only target your triceps. Now, which one do you think is going to provide the most growth? Obviously the former will. By choosing compound exercises to make up the majority of your routine, you will be sure you are getting the most intense workout possible. Another reason why compound exercises are superior, going along with the last factor, is because you are hitting more muscle fibers with each lift and therefore required to spend less time in the gym. Now, who doesn&apos;t want more results in less time? Unless you are trying to pick up a new significant other in the gym, in which case you probably aren&apos;t worried about an effective training program in the first place, you most likely have other things that are demanding your time. By using compound exercises, you can perform 3-5 total exercises per session, stress your system enough to encourage muscular destruction and then get out and allow your body time to recoup. Not only will compound exercises target the greatest portion of muscle fibers, they will also cause the greatest release of anabolic hormones in the body. The two prime examples are testosterone and growth hormone. Human Growth Hormone And Exercise. Two of the biggest factors that play a role in the release of human growth hormone are sleep and exercise. How do HGH and the others effect each other? The more taxing the exercise on the system, the greater the release. This in turn results in greater growth (assuming proper nutrition and rest protocols are followed). I&apos;m sure you&apos;ve probably noticed this before. Think back to your last hard leg workout (and I pray you are not one of those guys who doesn&apos;t believe in leg training...). How did you feel afterwards? Was your appetite bigger than the fat guy who lives at McDonalds? This is because your leg muscles are the biggest muscles in the body and when trained properly, require huge amounts of energy in order to perform and repair. Now think of the last time you did a bicep/tricep workout. Did you even break a sweat? These are such small muscles that it&apos;s hard to really tax the body training them alone. One of the biggest reasons people do not see results is because they are overtraining. Single body part programs are notorious for encouraging overtraining. If you stop and think about it... say you are doing a chest workout one day and then doing a bi and tri workout the next. Since you also worked your triceps during your chest workout, chances are they aren&apos;t going to be completely recovered in time for your bi and tri workout, unless you have spaced them a few days apart. Also, if you are doing a multi-day split program, you will likely only be working each muscle group directly once a week which may not be the best option if you are looking to encourage growth. By using compound exercises you can construct either a 4 day upper/lower split or a 3 day full body split and ensure you have a maximum recovery period built into your week. By spending less time in the weight room you will grant yourself more time to pay attention to other aspects of your training such as cardio and flexibility. While doing hours of cardio is not the best option regardless of your goal, not performing any is not ideal either. Nor is performing cardio and weight training on the same day, which many will do if they are utilizing a 5 or 6 day training split. By using a compound 4 day split, you will have 2-3 other days in the week where you can focus on high intensity interval training or a session of endurance training without sacrificing recovery by performing 2 a day workouts. Stretching is often the most forgotten about factor in fitness which is actually very vital to proper performance. The wisest people will take the time they are saving on weights and dedicate it to improving their flexibility. 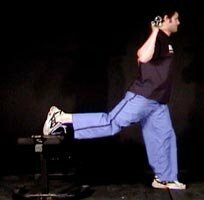 By doing this not only are you reducing your risk of injuries, but you are also increasing the range of motion in which you can perform your exercises through. On a side note, always be sure to perform your stretching at the end of your workouts, when your muscles are warm and supple. 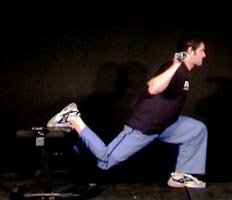 So now that I&apos;ve gone over why compound exercises triumph over isolated exercises, lets make clear what these exercises consist of. When trying to determine whether or not an exercise is isolated or compound, take a good look and try and figure out how many different muscles you are targeting. If it&apos;s 2 or more, then it&apos;s going to be a compound movement. Next time you are putting together a new training program for yourself or someone who has come to you for advice, make sure that compound exercises make up the base of the workout. If you do that, you can ensure you are making the most out of your valuable gym time.